I love reading posts on the products people LOVE and USE. Last week, I wrote about my favorite hair products. I use EVERY single one of those items. I hate when I run out of them at the same time because it gets expensive, but they are my favorites. This week, I am going to write about my current makeup products that I love. I change up my makeup products every so often, but some of them I use over and over again. Right now I use It Cosmetics CC Cream (in medium). I love the way it smells, feels on my skin and how easily it applies. I have been using this for about 5 months. My face doesn't break out with it, it has a pretty sheen to it and it has SPF 50 in it. That is a huge reason why I use this CC cream. I have been looking at some other foundations that offer more of a full coverage because this one doesn't cover as much as I would like. It is good, but I like a real full coverage foundation. Suggestions? I have tried so many concealers. 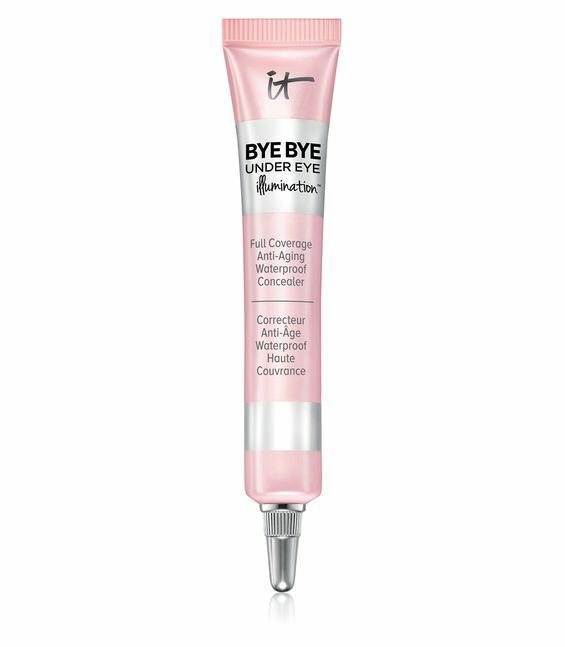 I love everything from YSL (expensive) to Maybelline Under Eye Eraser, but right now, I have been using It Cosmetics Bye Bye Under Eye Concealer. I wasn't going to buy it because I thought it only went on under your eyes, but then I asked someone at Sephora about it and she said I can use it all over my face. I have medium and it covers all my zits, blemishes and freckles. I love this stuff. I haven't used anything else since buying this tube. Plus it lasts forever. 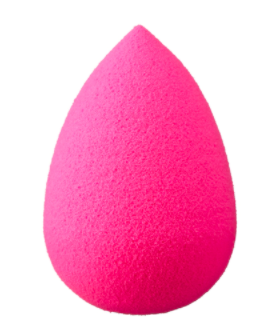 I know people go back and forth on the perfect way to apply your foundation, but ever since I used the BeautyBlender Sponge, I haven't used a brush or anything else. The key is to clean your sponge out all the time. It is a pain to do, but it is the best for giving you the look you want every time. I have never used any other primer than Urban Decay's Eye Shadow Primer, but I don't think I need to. Before I used primer, I used to get the crease from my eye shadow over the course of the day. Then someone was nice enough to introduce me to primer and I never turned back. Just like with my primer, I have been using Too Faced Natural Eyes for a long time. I use other eye shadows, but I always go back to my favorite. I love the colors in it. My favorites are the second line, Silk Teddy, Push-Up and Erotica. Though I use them all, but the first three to go are the second line. I go back and forth between blush and bronzer. I love Hourglass Blush, but I use bronzer more than anything else. 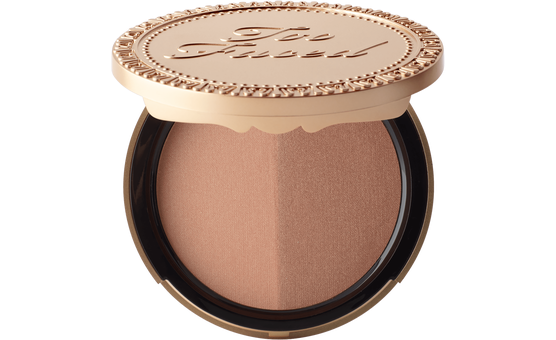 My tried favorite is Too Faced Sun Bunny Bronzer. I love the color of this bronzer. I have been using this one for a long time. I need to buy a new one because I am left with a few broken chunks in my current one. I think this one gives you a more natural look. After I put on all my makeup, I used It Cosmetics Bye Bye Pores Powder. This is supposed to reduce your pores, give you flawless skin, a finished look and it is anti-aging. I have been using it for about 5 months and I am on my second container. I love this stuff. It lasts all day long and doesn't make my face shiny. I don't use mascara right now because I get my lashes done. I get a voluminous look to my lashes, but they are not lengthening. I feel like they look natural and not spidery like some of the ones I see. I can't really recommend a mascara because I was always searching for the best one and none give me the look I was going for. And there you have it. My makeup routine and favorite products that I currently use. What do you use? What are your favorites? I go back and forth with the CC cream as well. I love it, but need more coverage. I love Makeup Forever. I do use the setting powder from It though, love it. I need to try the concealer as well. 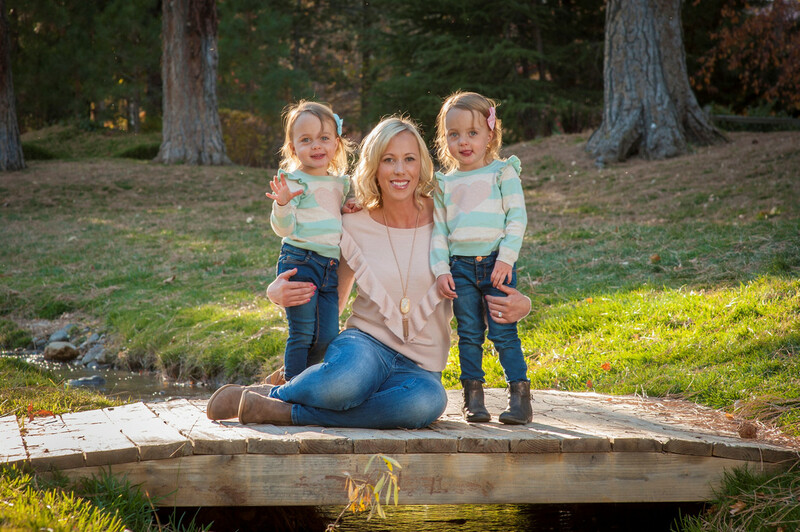 I use Bare Minerals BarePro foundation - to me it's the perfect combo of coverage, yet still light and natural looking! I need a new concealer so I'll have to check that one out. I actually love the mascara I use -- just a drugstore steal (Loreal Voluminous Million Lashes). I'm working on coming up with a makeup routine. That is good to know that you can use the under eye concealer all over your face! 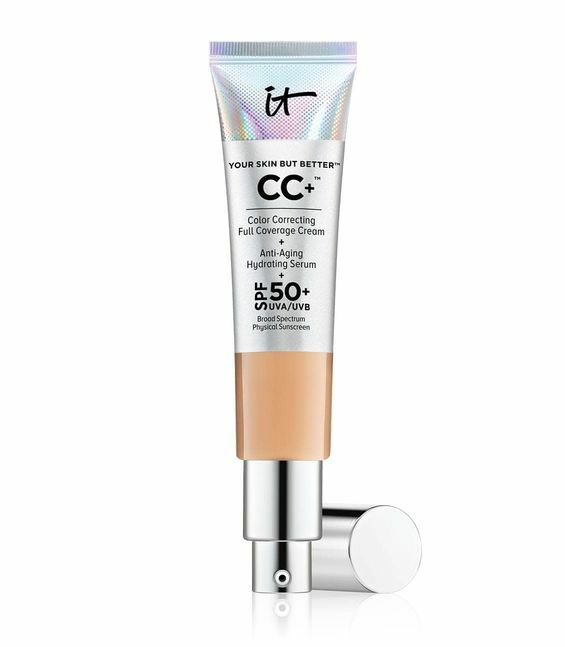 I love that cc cream but I too wish it had more coverage. You know they have a new foundation coming out later this week that is going to be full coverage and with spf 50. For full coverage foundation, I'm loving Dior Forever. It's AH-mazing!!! I love that concealer, it does really work!! I love that cc cream so much. I have my Lingerie de peau foundation for full coverage, but I use that cc cream for every day. I need to try that concealer! I've heard nothing but great things about that cc cream and so many people have mentioned it lately! I might need to try it. I'm looking for something with spf! I use the same primer, bronzer and I love that Too Faced palette as well and work with that second row when I use it! 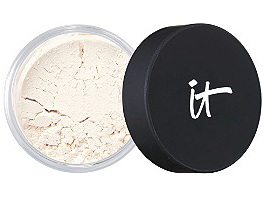 I have the IT CC cream but I hate it. It just sits on top my skin and doesn't really blend in well no matter what I do. My favorite holy grail full coverage foundation is hands down Estee Lauder Double Wear. It is the best best best!!! I buy the RT sponge for a third of the price of the beauty blender. The first time I bought the BB I about cried when it started falling apart a little and I had to throw it out and refused to pay $20 again. I can only make them least like 3-4 months with using them and washing them daily, so I would rather only spend $6 for the RT and I feel like it works just as well. I cant go back to a foundation brush either. I FREAKING love It Cosmetics!! You should really try their foundation if you want more coverage, it's amazing! Their mascara is my fave too, along with the under eye! 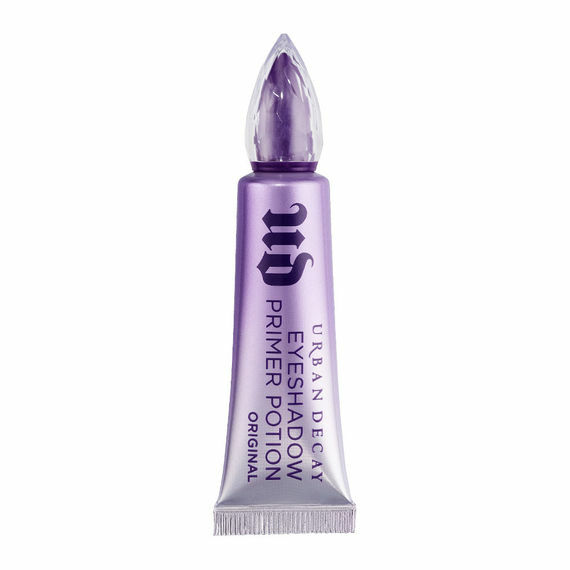 I use to use that exact eyeshadow primer but once I ran out, I never got it again, I think it's time to pick one up! These sound like great products! I am so boring when it comes to makeup haha. I'll have to get one of those sponges. I've never heard of them before. I'm always looking for a better way to apply foundation! I love posts like this too! I haven't used any TF eye shadows in a long time, but there used to be a pinkish shade that I loved. I've still never tried a beauty blender and I'm not sure why-- I actually got the Real Techniques version forever ago, but never used it.